It is true that it is possible to recruit skilled migrants who are already in New Zealand. It is partly true that this can be a faster track from advertising to the commencement of employment. It is not true that this is a superior method of recruitment. In some regards, it skips over specific steps in the recruitment process that are, in fact, really important. Let’s step through the positives and potential negatives of recruiting migrants already in New Zealand. A strong positive in this situation is that you can meet the potential employee without travelling long distances – and you have the opportunity to conduct a trade test at your site. The nature of the role will determine how important a face to face (rather than online) interview is for your business. Trade skill testing is a recommended part of the offshore recruitment process (and does involve a fee to ensure that the test is conducted professionally). Some employers do travel to the Philippines for interviewing, but most are happy with online interviews or even with viewing our recorded interview video files, and professional trade tests. On the topic of local recruitment being a more expedient timeline – if the person you are intending to employ is already employed, be very clear on the resignation period he is required to give, and the potential action that the existing employer may consider in order to retain the employee following his resignation. Considering that you will have to apply for a variation on the employee’s working visa (or potentially launch an entirely new visa application depending on the vocation and location of the employee), which involves a cost and a delay while the approval process is underway, you are at considerable risk if your employee reneges and you have to start over – you are also at risk from a future industry point of view, as increasing rates of pay to retain employees will have a spiralling effect. The Accredited Employer process requires that employers stay within industry pay rates for specific roles for this reason. If the employee is with an accredited employer and is on a work to residence visa (and you are not an accredited employer), it is quite possible that the Job Seeker – or even the recruiter – may not fully comprehend that the Job Seeker/employee may lose the track to residence by opting to change to a non accredited employer until after it passes through immigration checks. Again – you are exposed to starting again, as a migrant in this situation would more than likely not complete the process and lose his residence window. If the employee has had multiple employers in New Zealand, this is a possible red flag – you need committed focused tradespeople in your business – not job hoppers looking for a continually improved pay package. If the employee is not presently employed, a working visa and all the surrounding checks are required as if the employee were in another country, but the advantage will be that your new employee will already be familiar with life in New Zealand. Sourcing of skilled migrants in the local market is definitely something worth considering. All candidate checks and skills tests are conducted locally and the process is one or two months faster. Accommodation and flights are not an expense to the employer also, which can reduce overall cost. However, the changeover of visa from one employer to another can vary and there are costs associated with this. We advocate looking for the best future employee – regardless of where he (or she) is currently living, and we advocate thorough, professional recruitment processes for a positive outcome for all concerned. 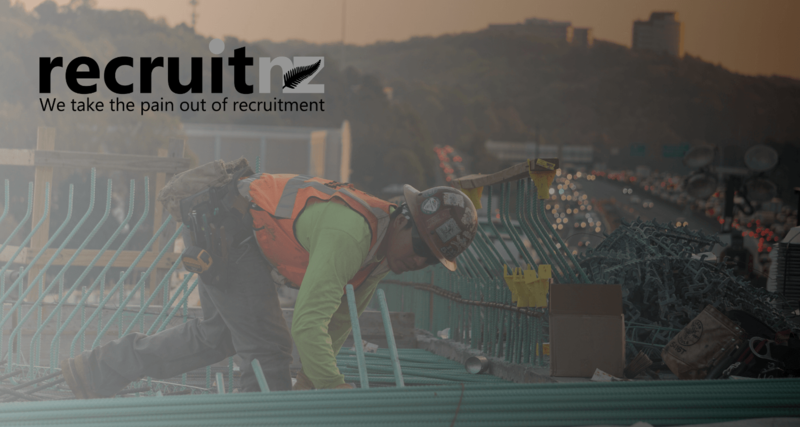 RecruitNZ presents a variety of options to our clients for them to decide on based on their available budget, the timeframe and availability of skilled workers specific to their business. The RecruitNZ team would always advise if they felt they could not recruit a specific skill set either onshore or offshore.